The Belize Police Department continues to investigate the murder of US national 52 year old Gregory Faull. A post mortem examination conducted on Tuesday, November 13th certified the cause of death to be, “brain damage due to injuries sustained from a gunshot wound to the head.” Faull was found dead on the morning of Sunday, November 11th and was last seen alive socializing sometime around 10:30PM on Saturday, November 10th at a resort north of his residence. A 9 millimeter shell was found on the second step of the stairs outside of his residence. Meanwhile police have also focused part of their investigation on exhuming the remains of four dogs that according to McAfee’s girlfriend, he [McAfee] shot in the head. 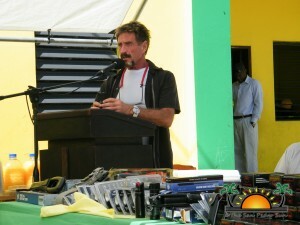 According to online media, McAfee claims that he mercifully shot the dogs after discovering that they had been poisoned. 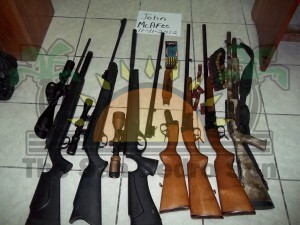 “We are trying to determine if the bullets recovered from the dogs come from the same gun used in the murder,” said Martinez who explained that the slugs have been removed from the head of the dogs and are at the Belize Police Forensic Laboratory for ballistic testing. Martinez said that the result of the testing will be completed “shortly” but did not indicate a time frame, stating that the findings will not be made available to the general public right away due to the status of the investigation. Meanwhile McAfee called NBC Dateline correspondent Keith Morrison (who was in Belize at the time) on Sunday, November 18th and during the telephone interview offered a $25,000BZ reward for information that will lead to the arrest, capture and conviction for the person(s) responsible for the murder of Faull. He also told Morrison that he will not “give himself up, not now, not ever.” McAfee told Morrison he is aware of who is visiting his property, claiming that he is at his beach side property on northern Ambergris Caye and can watch the activities around his property. 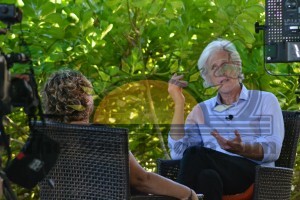 Faull was cremated on November 14th after family members came to Belize and properly identified and claimed his remains. He was repatriated to the US for burial.